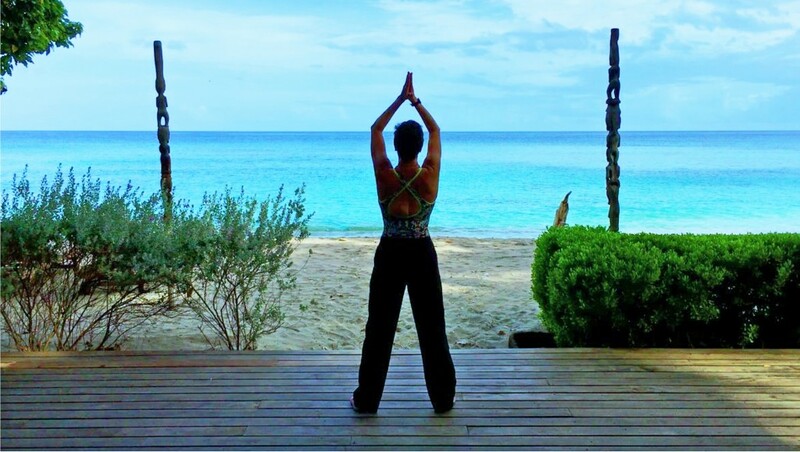 As a resort that focuses on providing a full mind, body, and spirit escape, Laluna is always looking for ways to expand our wellness offerings. 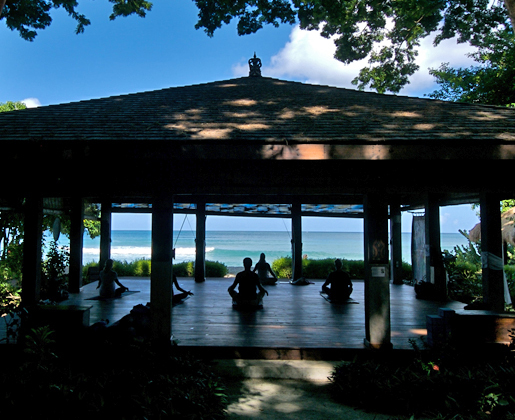 With that goal in mind, we have recently added Qi Gong to our available classes held at our beach yoga pavilion. Whether you are just now becoming familiar with the practice or have been practicing for years, we invite you to try Qi Gong and experience mind body alchemy at Laluna during the month of June for free. Qi Gong­ ​is an ancient Asian practice of cultivating energy within the body, literally translating to energy and the cultivation or management of it. The core of Qi Gong is to find balance in energy and regain flexibility and mobility, and, therefore, great health. With practice, you will learn how to sense your energy and develop it to promote healing and reduce stress. Medical Qigong Beginner Restoration Class: We invite you to learn the code to your personal good health in this eight week course. We will meet twice per week, each time for one hour. This is a restorative course where we will learn about our bodies and how to achieve it’s ultimate functionality. This course will cover essential elements to your health. Breathing­: The fundamental must for survival, and we’ve been doing it wrong for years. Proper body alignment: It is important that the proper positions are maintained for optimal health. Chakras: Understanding, clearing and smoothing your 7 Chakra states. Meditation: How to quiet the mind through meditation and mantras. 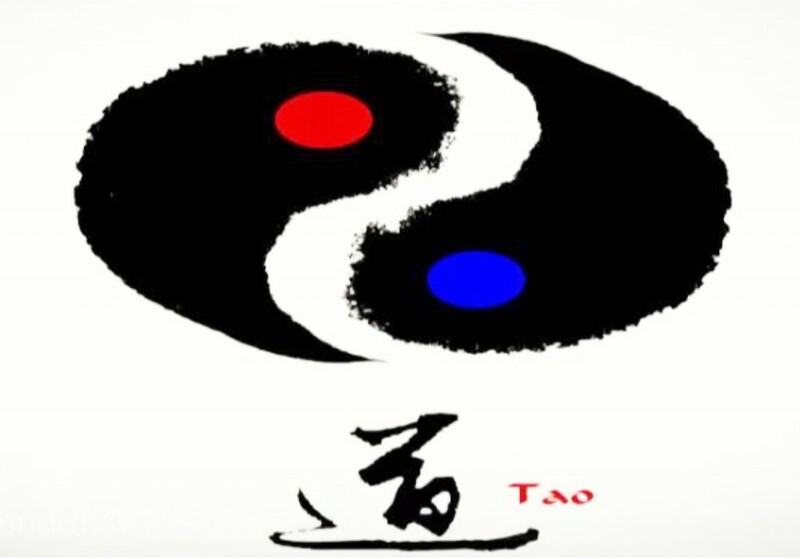 La Luna Mind Body Alchemy Course: Golden Qi Ball ­ Yin­Yang Theory:­ Creating the Brass Basin­ Qi Gong Breathing. Opening up the small circuit ­- Leading the Golden Qi Ball ­- 3 Hearts 9 Gates­ – 8 Brocades. Laura Smith has been living in Grenada and Carriacou for the last 7 years. She is currently studying with the Zen Wellness Master’s Path certification to be a medical practitioner of Qi Gong. The goal of all Qi Gong disciplines is to create a balance of life force energy or Qi to enhance the long­term quality of life. Four years ago, she met an American Yachty in Carriacou. He was having difficulty feeling his feet, which made walking painful and sailing very uncomfortable. He was only about 60 years old, a professor and had led a sedentary lifestyle. He had tried numerous Drs. and medical help in the US. and no one could proved an answer to his situation. In fact it was basically described as atrophy (gradual decline in effectiveness or vigor due to underuse or neglect.) It was around this time that a friend in Grenada showed her some Qi Gong on a youtube video­ she was hooked. One year later, she decided to pursue it seriously and began looking for a teacher/Master. In the US, Qi Gong is becoming more mainstream, emerging through it’s more famous cousins Tai Chi and Yoga. Qi Gong has even been endorsed by medical Drs. and insurance companies. Classes will be held Tuesdays from 8:00 am – 9:oo am and Thursdays from 5:00 pm – 6:00 pm. An excellent study for people of all ages and abilities, this low impact movement is much like Tai Chi. Qi Gong is a standing and seated practice, and we recommend wearing comfortable clothing and shoes.